I'm a big Alex Verus by Benedict Jacka fan. I found the books on the recommendation of Jim Butcher on some tweet years and years ago, and have been enjoying the Verus series, reading each one pretty much as soon as it is published. I appreciate that Jacka delivers his books very regularly, which means I'm not waiting for a series to continue as the world is with Harry Dresden and the Song of Ice and Fire and the Kingkiller Chronicle (which I am now convinced Rothfuss doesn't know HOW to finish, so he won't) and whatever else books have the author off on a different tangent because that's what interests them at this time and oh, wow, do I appreciate Jacka. I enjoyed this book. I have enjoyed this series. Two chapters into this book and I realized that reading it felt like coming home in a way, the comfort level of the world that has been developed, my connection with said world and the characters in the world, and the writing style of the author. The Dresden Files does this, too. As did Connolly's Twenty Palaces series. And I just realized I seem to have a thing for white male author, urban fantasy fiction. Good thing I'm on a non-fiction kick this year. Go me. The book was a fun read. 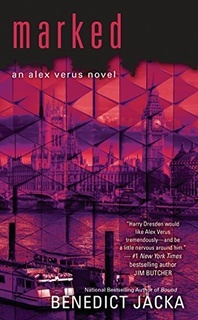 If you haven't started on the Verus, start with book one, which is Fated (the naming of which reminds me to add it to my "I have read, but I don't recall when or any of the plot, but I know I've read it" list). Once you're done with those, head over to the Dresden series. And keep reading. There’s a rhythm to battle, a cadence, almost like a dance. Every move has its counter, every strike its timing. Once you understand it, it doesn’t feel as though you’re attacking at all: you just do what’s natural. 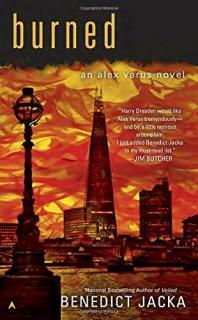 This is book 7 of the Alex Verus series. I realized only two nights ago that it was out, and kicked myself for not realizing it a month ago. Good thing I was ordering that tea on Amazon and the site recommended the book. Also, added Jacka to my list at Author Alerts. I really liked this book. I really like this series (though, maybe the last one I didn't like as much). It was recommended by Jim Butcher at some point, and I'm glad I read them. I like tales Jacka spins and the mage world he has created. I like the recurring characters and the intrigue developing. The one was pretty much all action. Verus had very little time to relax and little time to brood. The book ends on a cliffhanger, WHICH IS GREAT, as it means there's another book to follow.